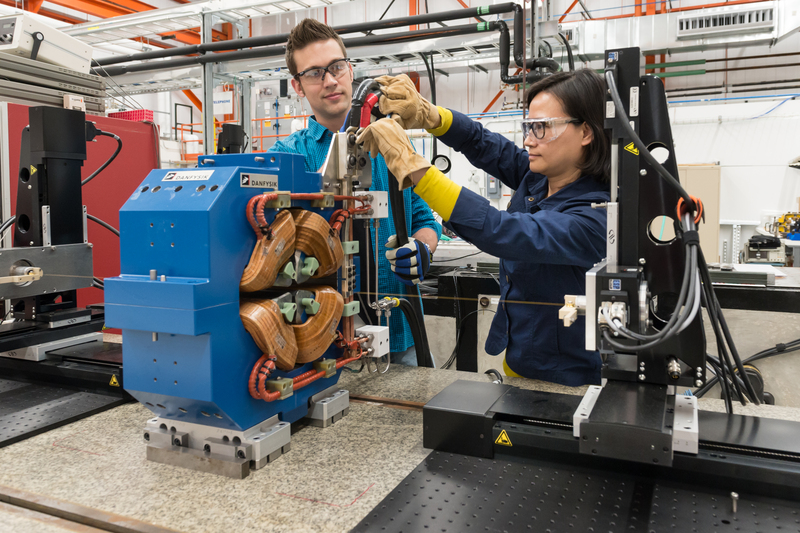 The APS Upgrade project involves replacing the existing electron storage ring at the APS, already one of the most powerful and busiest synchrotron radiation facilities in the world, with a new array of magnets, a multibend achromat lattice. This design will reduce electron beam emittance by a factor of 70 from its present value which, together with a doubling of stored beam current and the introduction of high performance insertion devices (some superconducting), will make the resulting X-ray beams two to three orders of magnitude brighter. The brightness and energy of X-ray beams are critical properties for research. Higher brightness, accompanied by higher coherence, means more X-rays can be focused onto a smaller, laser-like spot, allowing researchers to gather more data in greater detail in less time. Higher energies allow X-rays to penetrate deeper inside materials to reveal crucial information about a material’s structure and function. The combination of high brightness and high energy allows the observation and imaging — in real time — of fast and ultrafast technologically important processes, including fuel sprays, magnetic switching, and biological processes in living organisms. Scientists will be able to see matter at the atomic level.